We are now accepting applications for highly motivated energetic, and professional individuals to become part of our sales team! Tan N Bed is in search of people with positive attitudes and qualities of a team player. If this sounds like you, don’t miss your opportunity to become part of our winning sales team. We offer flexible hours, convenient locations and a great working environment. Please complete this Pre-Employment Questionnaire then click the “Submit” button at the bottom of this page. What school(s) are you enrolled in? Please explain your previous criminal conviction. Have you worked in a tanning salon before? 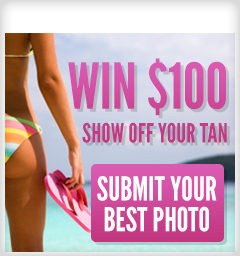 What tanning salon(s) did you previously work at? Are you proficient with any software? What software are you proficient in? Accepted file types: jpg, gif, png, pdf, word, txt. I certify that all information I have provided in order to apply for and secure work with the employer is true, complete and correct. I understand that any information provided by me that is found to be false, incomplete or misrepresented in any respect, will be sufficient cause to (1) cancel further consideration of this application, or (2) immediately discharge me from the employers service whenever it is discovered. I expressly authorize, without reservation, the employer, its representatives, employees or agents to contact and obtain information from all references (personal and professional), employers, public agencies, licensing authorities and educational institutions and to otherwise verify the accuracy of all information provided by me in this application, resume or job interview. I hereby waive any and all rights and claims I may have regarding the employer employer, its agents, employees or representatives, for seeking, gathering and using such information in the employment process and all other persons, corporations or organizations for furnishing such information about me. I understand that the employer does not unlawfully discriminate in employment and no question on this application is used for the purpose of limiting or excusing any applicant from consideration for employment on a basis prohibited by applicable local, state or federal law. I understand that this application remains current for only 30 days. At the conclusion of that time, if I have not heard from the employer and still wish to be considered for employment, it will be necessary to reapply and fill out a new application. If I am hired, I understand that I am free to resign at any time, with or without cause and without prior notice, and the employer reserves the same right to terminate my employment at any time, with or without cause and without prior notice, except as may be required by law. This application does not constitute an agreement or contract for employment for any specified period or definite duration. I understand that no supervisor or representative of the employer is authorized to make any assurances to the contrary and that no implied, oral or written agreements contrary to the foregoing express language are valid unless they are in written and signed by the employers president. I also understand that if I am hired, I will be required to provide proof of identity and legal authority to work in the United States and that federal immigration laws require me to complete an I-9 Form in this regard.